New Zealand is considered by many to be the world's best self-drive destination. There's a lot to love about it. For one, Kiwis drive on the 'correct' side of the road (and the car). The country, too, is made for road trips, with a compact landmass simply brimming with take-your-breath away vistas revealing themselves as you peel around bend after bend after bend. Fun fact: New Zealand’s most inland point is just 120 kilometres from both the Tasman Sea and Pacific Ocean. So no matter where you are, you're only a short hop from the country’s magestical coastal landscapes. The road trips below are but a few ideas to help you think about exploring New Zealand this winter. The North Island selection will suit drivers with an aversion to alpine conditions. The South Island, well, that's what winter driving is all about. No matter where you choose to drive, remember: Always check the local conditions before setting out. Please also note that all distances in the itineraries below are approximate and meant as a guide only. 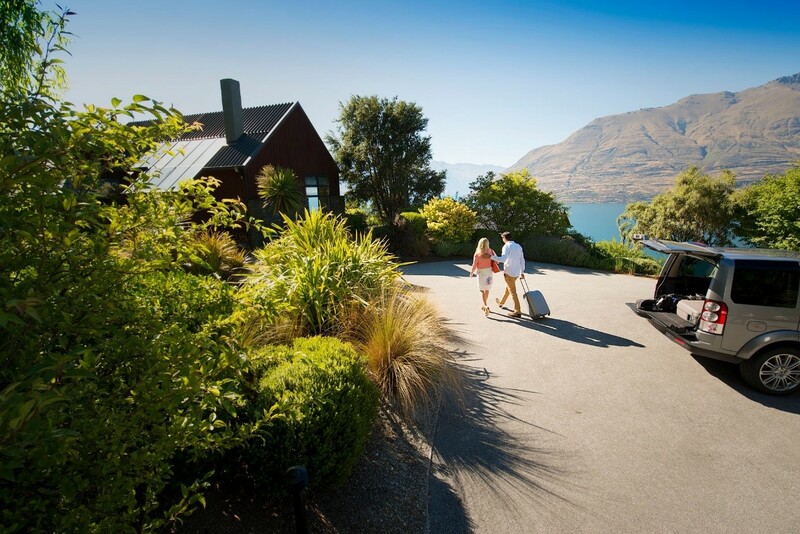 Your ATAS accredited travel agent can help you discuss your options, plan your trip, and customise the perfect New Zealand road-trip itinerary, leaving you to just concentrate on the driving. A great one for first-timers to New Zealand, this easy day-drive from Auckland takes you south to the town of Pokeno, east around the Firth of Thames bay, then north along the beautiful Coromandel Peninsula. Plot it on a map and you'll see that it's a road trip shaped like a smile. The Coromandel is home to some of the Land of the Long White Cloud's loveliest coastline and secret little beaches. Here you’ll find amazing headlands, vistas and lookouts, and - ideal for a wintery road trip – New Zealand’s famous Hot Water Beach. If you can coordinate it, the best time to find hot water bubbling through the sand is a few hours either side of low tide. Then do as the locals do and dig your own hot-tub in the sand (shovels are available from nearby cafes), let it fill, and relax in your own, private natural spring. Hot Water Beach also boasts good surf, and is just a 10-minute drive to another Coromandel icon – Cathedral Cove. A must-see, Cathedral Cove is accessible via the Cathedral Cove walking track which takes about an hour in each direction. Alternatively, consider staying in nearby Hahei and book an escorted paddle to the cove by kayak. Chat to your ATAS accredited travel agent about the best car hire offers and places to stay on your perfect New Zealand self-drive holiday. This road trip takes you on a journey through Middle Earth. Well, the North Island's Middle Earth, at any rate. Setting off from Auckland, you'll head 195 kilometres south to the town of Waitomo - home to extensive cave systems, underground rafting adventures and magical glow-worm caves. From Waitomo, your next stop is Rotorua 175 kilometres to the east. Along the way, take a pit-stop at the Hobbiton Movie Set near Matamata - a must-see for every Lord of the Rings aficionado. Continue to Rotorua, explore its renowned geothermal attractions and warm your chilly extremities near steaming hot springs and boiling mud pools. The coastal city of Napier is just 220 kilometres from Rotorua. New Zealand’s beautifully preserved Art Deco capital sits in the renowned wine-producing region of Hawke's Bay – home to some of the country’s oldest wineries. From here, a final 320-kilometre push brings you to New Zealand's cool little capital, Wellington, right near the North Island's southernmost point. A compact city, Wellington boasts lively arts, coffee and dining scenes with, it is claimed, more restaurants per capita than New York City. Take a big bite of Wellington - you will not go hungry here. Your ATAS accredited travel agent can help you plan every part of your New Zealand winter adventure. This short drive is a great way to start your exploration of the South Island. The itinerary simply connects New Zealand's adventure capital, Queenstown, with Milford Sound - a fjord once described by Rudyard Kipling as the 'eighth wonder of the world'. The Sound itself is an astonishing showcase of spectacular natural wonders, and the drive is regularly named one of New Zealand's best. The final few hours of the journey between from Te Anau to Milford are breathtaking. From Queenstown, the route winds around the gentle curves of Lake Wakatipu where views are framed by the rugged and appropriately named The Remarkables mountain range. A journey through gentle country soon brings you to the shores of Lake Te Anau and the picturesque town of the same name - the perfect leaping-off point for Milford Sound. Please be aware that this is an alpine route and driving conditions in this area can vary. Chains are required in some sections. Always check the local conditions before setting out. This roadtrip starts in Christchurch from where you can explore stunning Lord of the Rings film locations of the Canterbury region. Movie buffs will likely recognise the locations of Edoras and the Misty Mountains. For a richer fantasy immersion, tours from Christchurch take you behind the scenes, deep into Lord of the Rings movie lore. Your first day behind the wheel brings you to the scenic town of Lake Tekapo, 250 kilometres to the south-west, and part of the wonderfully-named UNESCO Dark Sky Reserve, making it the perfect spot for stargazing. From Lake Tekapo, the swings past Lake Pukaki and views of Mount Cook - New Zealand's highest peak. You may consider a side trip to see the icebergs of the Tasman Glacier bob around Lake Tasman. Continue to the alpine-adventure resort town of Queenstown via the scenic Lindis Pass and the adventures that lay beyond. Please be aware that this is an alpine route and driving conditions in this area can vary. Always check the local conditions before setting out. What are the best New Zealand travel deals around right now? Find a local ATAS accredited travel agent here to discuss your options, plan your ideal trip, and customise your perfect New Zealand road-trip. 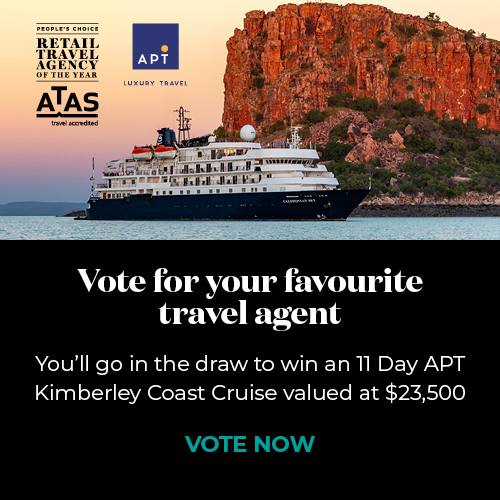 Here are 4 reasons why using an ATAS accredited travel agent saves you time and hassle.